This week the PGA Tour makes it way to the Waste Management Phoenix Open, an event like no other. The raucous crowds that gather around the 16th hole at a tournament that always coincides with Super Bowl Sunday, create an atmosphere like no other. A strong field has assembled in Phoenix once again, with Jon Rahm, Justin Thomas and Xander Schauffele giving us three of the World’s top-10 players. Other notable attendees this year include defending champion, Gary Woodland, two-time course winner, Hideki Matsuyama, two-time winner on the season, Matt Kuchar, as well as popular figures Rickie Fowler and Tony Finau. Jon Rahm is an extremely short +650 favourite at the Waste Management Phoenix Open. The ASU alum is playing great golf right now, with four straight top tens, and will be playing somewhat of a home game at TPC Scottsdale. But +650 is far too short in a field this strong says Sascha Paruk from SportsBettingDime. While two-time champ Hideki Matsuyama has fallen to 26th in the world rankings, he did just finish third at the Famers and he’s never finished worse than T4 at this event (apart from last year when a wrist injury forced him to withdraw after a first-round 69). At +1400, Matsuyama is better value, as is Webb Simpson at +2000, the man who lost to Matsuyama in a playoff in 2017. There were course changes prior to the 2015 renewal of this event, including the resurfacing of greens and an additional 100 yards being added to the overall length of the course. This has not dettered players from going low, although no one has quite got to Phil Mickelson’s recent scoring record. Mickelson matched Mark Calcavecchia’s 72-hole record of -28 here in 2013, and since, the scores have ranged between -14 and -18, with the average winning score in that span -16. This suggests that that 16-under-par should be the minimum target score this week, although Hideki Matsuyama and Gary Woodland have won with scores of -17 and -18 respectively, over the past two years. The last six winners of this event have all finished inside the top-10 for Greens in Regulation the week they won, with five of them ranking inside the top-5. In addition to Greens in Regulation, good scoring on the Par 4’s here is also essential with each of the last six winners ranking inside the top-10 for Par 4 Performance the week they won. Brooks Koepka and Matsuyama ranked 1st the week’s they won, to further solidify that this is part of the winning formula. Proximity to the Hole also looks to be important, as all of the last six winners have ranked inside the top-13, with Mickelson leading the way in 2013 and three of the other four winners ranking 6th or better. You would think, given this is a birdie-fest that Putting would be essential, however Mickelson (5th) is the only winner of the last six to rank better than 16th in Strokes-Gained: Putting. So whilst you do need to make your fair share of putts here to make the amount of birdies required, it is by no means the biggest factor to winning here. Phil Mickelson came close to a 59 here in 2013, when playing the first round of a winning week, and he was close again last time out at the Desert Classic. An opening round of 60 in La Quinta was a sign of a strong week to come for Lefty, and whilst he was eventually pipped to the post by newcomer, Adam long, the suggestion is he’s found some form once again. Given his record in this tournament (three wins), as well as finishes of 11th, 16th and 5th in the last three outings, it is fair to say Mickelson likes the setup here. Whether it is just the fact he loves the course, or whether it’s also the welcome homecoming the ASU graduate receives here, Mickelson certainly loves playing in Phoenix. 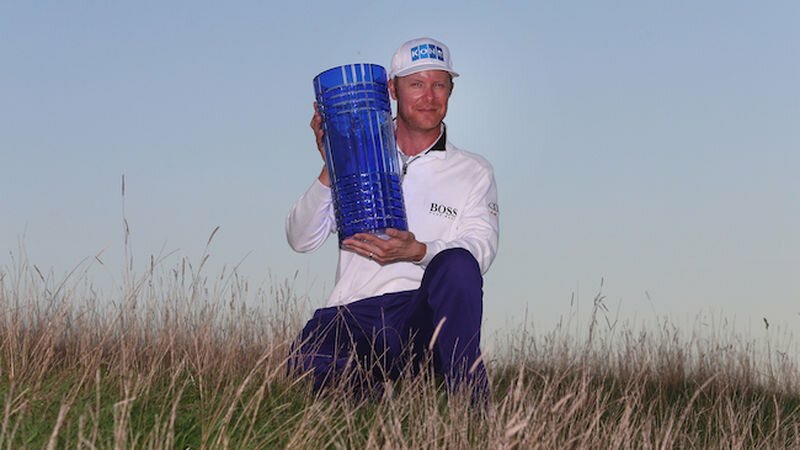 25/1 may not appeal to everyone, but this is a 49-time winner, who won a WGC in 2018 and also went close to getting his 50th victory two weeks ago, something a fourth win in this event can give him. There are limited arguments against backing Matt Kuchar this week, one being “someone who struggles to get over the line like Kuchar shouldn’t be 28/1” and the other being a lack of belief that he can win three times in five starts. Whilst both concerns have some basis, the likeliness is that Kuchar should perform well here once again, as he has in each of the past two seasons. 9th in 2017 and 5th 12 months ago, where he shot 64 in both years, it is clear Kuchar has found a new-found love for this course. When winning in Mexico before Christmas, Kuchar shot a pair of 63’s and in Hawaii he shot two 64’s so he’s clearly capable of shooting lights out at the moment, largely thanks to his high Greens in Regulation % (78.82%, 4th on Tour) and his 33rd place ranking in Proximity to the Hole. Currently 25-under-par on the Par 4’s thru 16 rounds this season, Kuchar’s current profile is perfect for this course, as is his recent course form. Whether you believe Kuchar can win three times in five starts is of course important, but the sheer facts suggest he should go close here and 28/1 seems fair given recent form, and his improved winning ability as he’s matured in recent years. Ryan Palmer finished T13 last week at Torrey Pines, where a third-round 75 derailed his chances of a third top-10 of the season. In this new wraparound season, Palmer’s form reads T33-T3-T7-MC-T13, so he’s playing some excellent golf and can add to that on a course where he has some history. Whilst he has missed his last two cuts at this course, Palmer has three top-10’s in 12 starts at this event, including a 2nd in 2015 and a 5th in 2013. He was one stroke shy of Brooks Koepka’s 15-under total in 2015, with a second-round 72 undoing a first-round 64 and final-round 66. He was nowhere near Mickelson (9 shots behind) when 5th in 2013, but did shoot rounds of 62, 64 and 66 that week, to show just what he can do when conditions suits and form kicks in. His recent run and reasonable history here suggests he’s better than an 80/1 shot, with a T24 finish in 2016 easing any concerns that the course changes in 2015 damaged his chances here. Every week there will be a discussion about course horse, someone who is not necessarily in the best form, but based on previous results in the event has to stand a chance. That mantle goes to Brendan Steele this week. You have to go back to this time last year for Steele’s last top-10, as he finished a T3 here in Phoenix, three behind play-off protagonists Chez Reavie and eventual winner, Gary Woodland. Last year’s effort may well have been his standout performance, but his career in this event has been nothing short of brilliant, despite the absence of a victory. Since finishing 53rd on debut, Steele racked off three-straight top-6 finishes here (5-6-6), followed by finishes of 26th, 17th and 16th. His 3rd 12 months ago was another fine example of his suitability to this test, and whilst recent form figures suggest he may struggle, he has had a couple of decent performances to start his new season. His two best performances have both come outside of the U.S., with Steele finishing T14 at the CJ Cup, largely thanks to a 3rd round 65, before adding a 12th place finish in the Australian Open, where he was one shot outside the top-10 and two outside the top-5. Admittedly not in the form you’d hope he’d be before he got here, Steele does at least have previous of putting poor lead-in form behind him to perform well here, notably when 5th in 2012. That year he had finished almost dead last at the Tournament of Champions, T66 at the Humana, and missed the cut at Torrey the week before, and whilst his current form is not too dissimilar to that now, he does at least have those efforts in Australia and Korea to draw on. Simply put, Steele is a player that tends to repeat performances, as he put together back-to-back wins at the Safeway Open in 2016/17, in addition to his plethora of top-6 finishes here. Despite his modest form, he is also ranks 20th in Greens in Regulation heading into the week, so he’s striking the ball well enough, should the putter heat up on more suited surfaces. He’s simply a decent price at 100/1 to place, even if you are not convinced he can win.